On Friday, February 9, the Cape Town Stadium saw 15,000 fans stream through the gates to enjoy the sounds of Afrojack, Armin van Buuren, Axwell Λ Ingrosso, Carnage, Hardwell and Malaa. Black Coffee, Dubfire and Eats Everything commandeered the RESISTANCE stage in the stadium basement, which was heaving with house and techno fans throughout. The atmosphere at the show was exhilarating, with fans further rejoicing when the drought-stricken Mother City was gifted rainfall during Armin van Buuren’s set, which also featured a surprise appearance by Mr. Probz who delivered two breath-taking live vocal performances of the global smash hit ‘Waves’ and his collaboration with Armin, ‘Another You’. 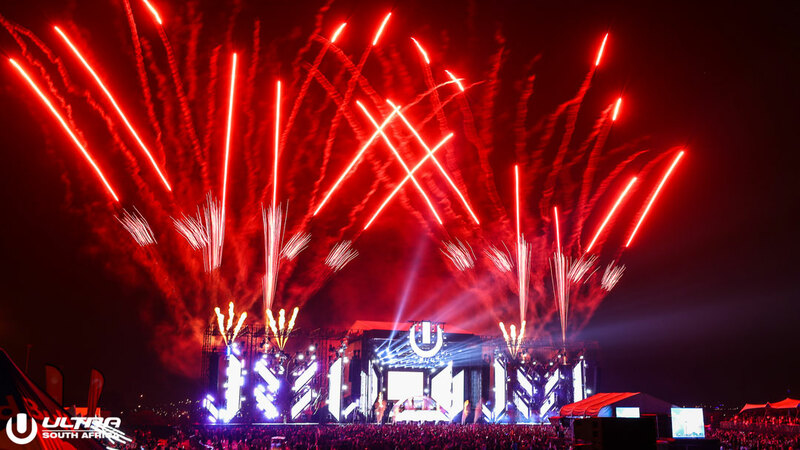 The Johannesburg show at the Expo Centre at Nasrec welcomed a record-breaking 32,000 Ultranauts through the gates on Saturday, February 10, for what was the biggest and most successful ULTRA South Africa in Johannesburg to date. The Until Until Stage with MTV hosted the best of the local hip-hop talent, and was bursting with flavour and soul at every moment. The Samsung Galaxy Experience Stage was packed from start to finish, topping off the host of successful brand activations over the weekend. The Main Stage production and performances stunned crowds at the Nasrec, with a display that was a fitting end to a phenomenal 48 hours of ULTRA South Africa. ULTRA SA brings new surprises each year and this year was no exception. It also brings new magic each time we produce the show, and 2018 was the most magical yet. Speaking on behalf of the full ULTRA SA team and sponsors, we are blown away by the support of the fans and industry and cannot wait to see what 2019 brings. Follow ULTRA SA on Facebook, Twitter and Instagram for real-time updates on forthcoming events.